PC enthusiasts prefer either AMD or Intel chips—there’s often no middle ground. But AMD believes its upcoming Zen chips will have crossover appeal for even the Intel faithful. AMD is betting its future on the upcoming Zen chips, which are based on a new architecture built from scratch. Zen wipes out inefficiencies that hurt older chips, which performed poorly and damaged AMD’s reputation as an innovative chip maker. But a series of missteps hampered AMD’s progress. AMD’s chip development stumbled starting with Phenom in 2007, and got worse with Fusion, the first chip to integrate a CPU and GPU. 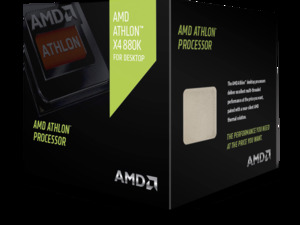 An AMD chip architecture called Bulldozer and its subsequent derivatives were criticized for poor performance. Intel advanced chip designs, for the most part, like clockwork. There were a few delays—for example, for the Pentium 4 in 2004 and Broadwell a decade later—but overall Intel’s dominant x86 chip market share was not hurt. That’s important for gamers, who eke every last megahertz of performance out of a PC. The first Zen chips will ship for gaming desktops at the end of this year. It will then go to servers and laptops in 2017, and then embedded devices. Intel’s raw CPU performance gains have been incremental over the last few architectures, mostly in single digits or low double digits, but the power efficiency focus has paid dividends as laptops have longer battery life. On its part, AMD has worked on various improvements to boost Zen’s chip performance. AMD has added simultaneous multithreading so virtual-machine or highly threaded workloads can be balanced. The cache subsystem has been redesigned so tasks can be efficiently fed to execution cores. AMD has also removed bottlenecks that hampered earlier architectures, while maintaining power efficiency and performance. AMD’s chip manufacturer, GlobalFoundries, has caught up on manufacturing with Intel, which also makes 14-nm chips. Intel has historically been ahead of AMD on manufacturing, but recently stumbled with its implementation of the 14-nm process. Intel has been making 14-nm for longer than expected, and that has led to wholesale changes in chip roadmaps. However, AMD’s parity with Intel on manufacturing will be short-lived. Intel will release the first chips code-named Cannonlake, made using the 10-nm process, in the second half of 2017. AMD’s trump card could be graphics, which can be combined with Zen CPUs for fast-growing markets like gaming and virtual reality. AMD is working with headset and PC makers on VR. Intel doesn’t have a GPU as powerful as AMD’s Radeon graphics core.